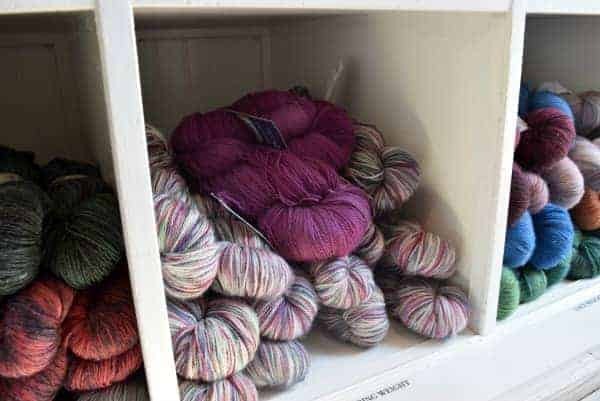 If you subscribe to the Indie Untangled newsletter, you may know about my fantasy of taking a yarn-themed cross-country road trip, visiting dyers and artisans along the way and blogging about my experience. 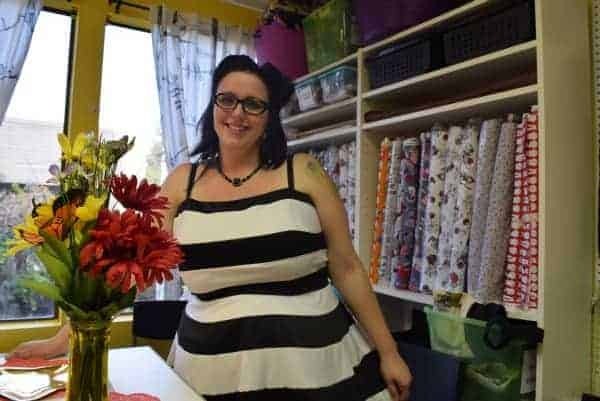 Well, this past weekend felt like the next best thing, as I got to visit the famous Yarnover Truck and get a peek inside Slipped Stitch Studios while my husband, Mitch, and I are out in California. 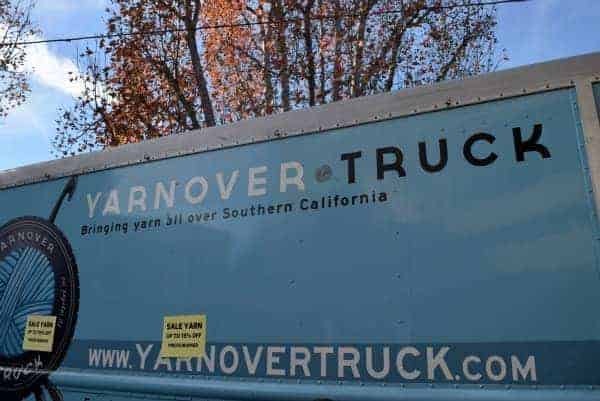 This past Saturday, after a too-short day in Santa Barbara, we drove down to Huntington Beach, where the Yarnover Truck was set up outside the home base for Slipped Stitch, which was celebrating its seventh (!) anniversary. 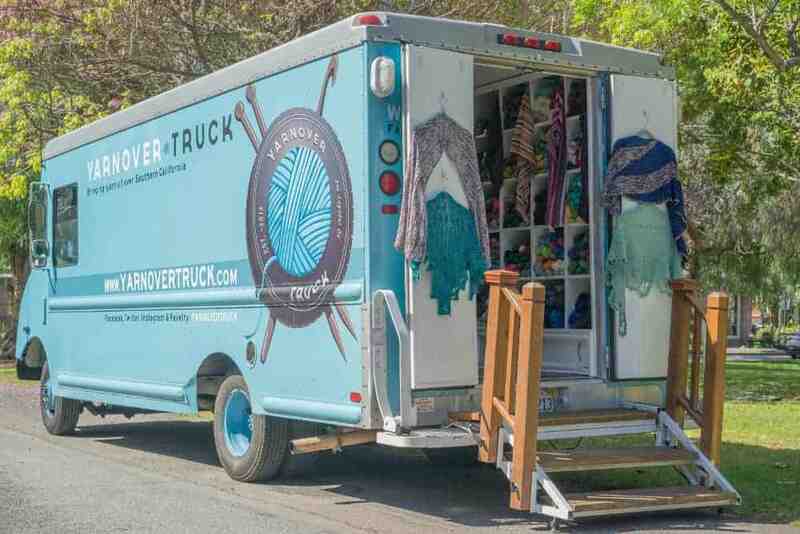 I’ve been wanting to visit the Yarnover Truck ever since Maridee and Barbra launched it in March 2013. 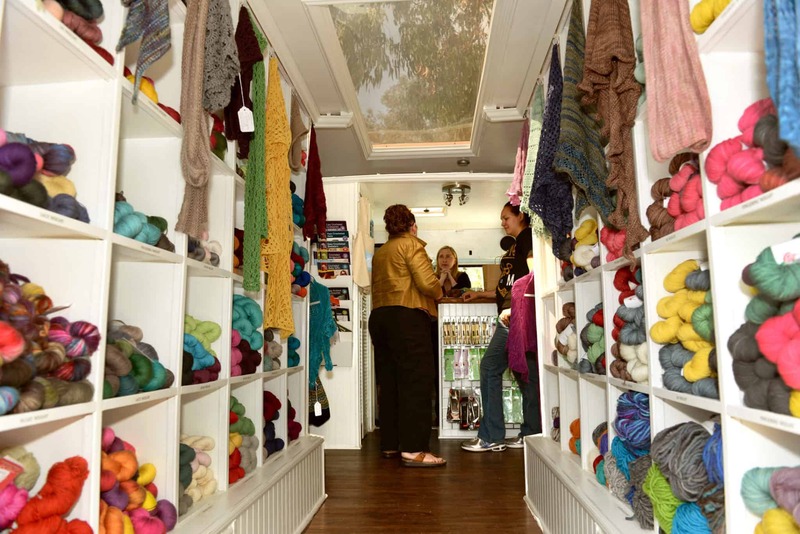 It’s a brilliant idea, taking the popular food truck concept and applying it to yarn. 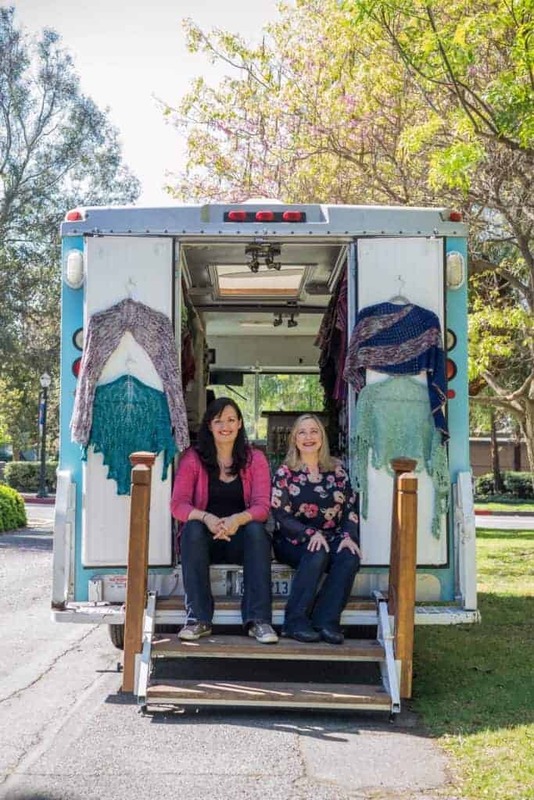 Maridee and Barbra travel to knitting events and breweries, and also rent out the truck for private parties. 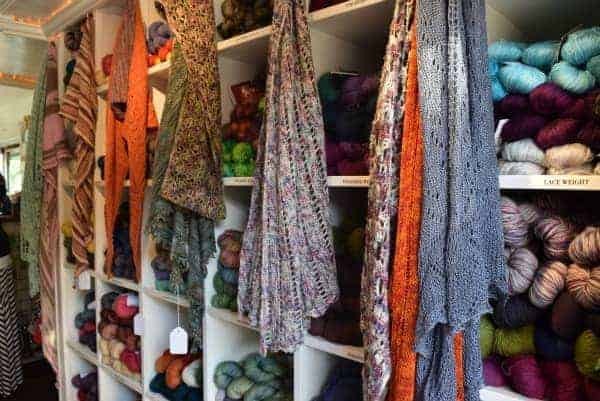 They stock some mainstream brands, such as Blue Sky Alpaca and Spud & Chloe, but mainly focus on indie dyers, with a great collection of yarn from Canada’s Indigodragonfly and Zen Yarn Garden, and Forbidden Woolery, which is based in LA. 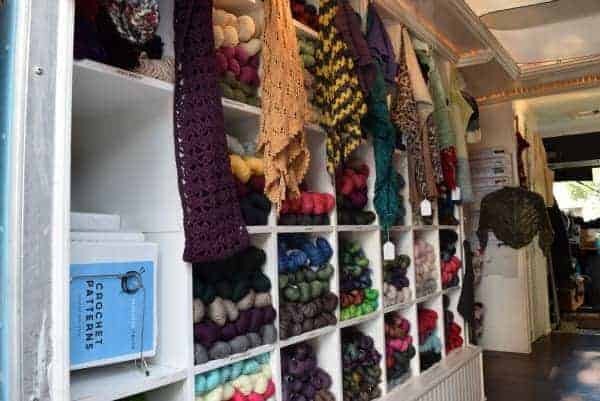 They also do month-long trunk shows, with wall space dedicated to one indie. 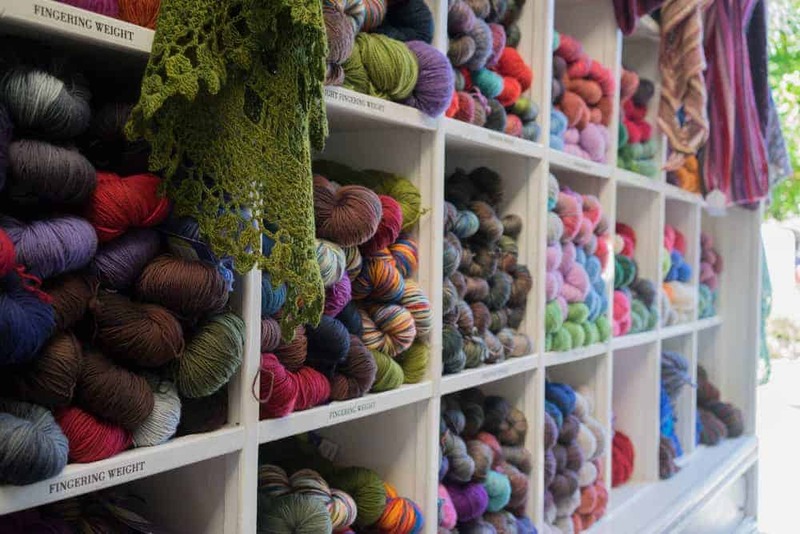 The space is small, but wonderfully organized by yarn weight and with a number of samples and swatches. 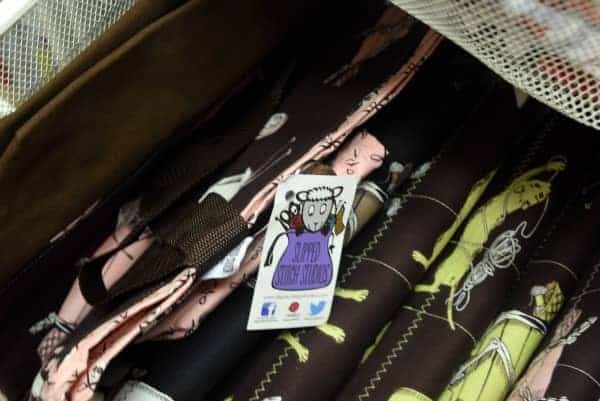 I was also very excited to meet Laura of Slipped Stitch Studios, who I only knew via email and her posts on the Indie Untangled marketplace. 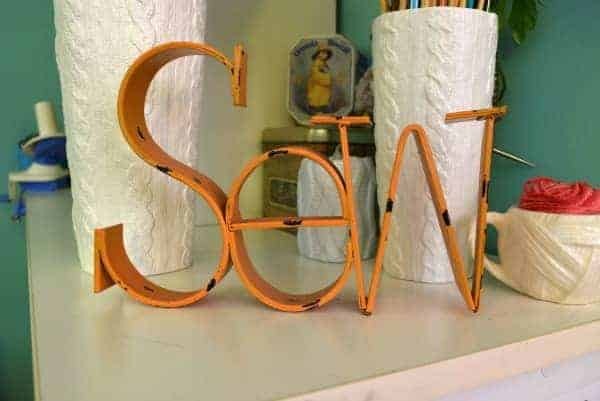 I got to take a tour of her colorful, well-organized studio space, enter — and win! — a raffle and then paw through the baskets of goodies she had out for sale. 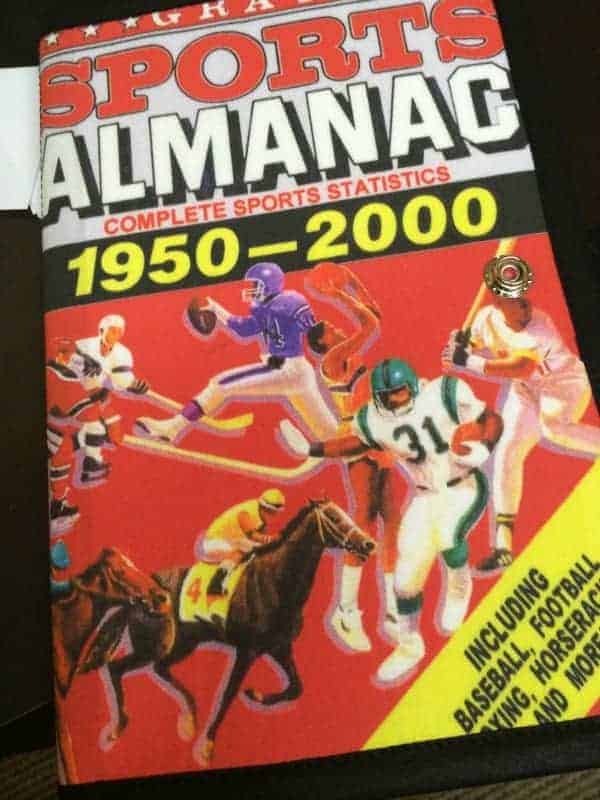 I was tempted by a lot of Laura’s bags, but I decided that I HAD to buy this brilliant Back to the Future-themed pattern wallet. 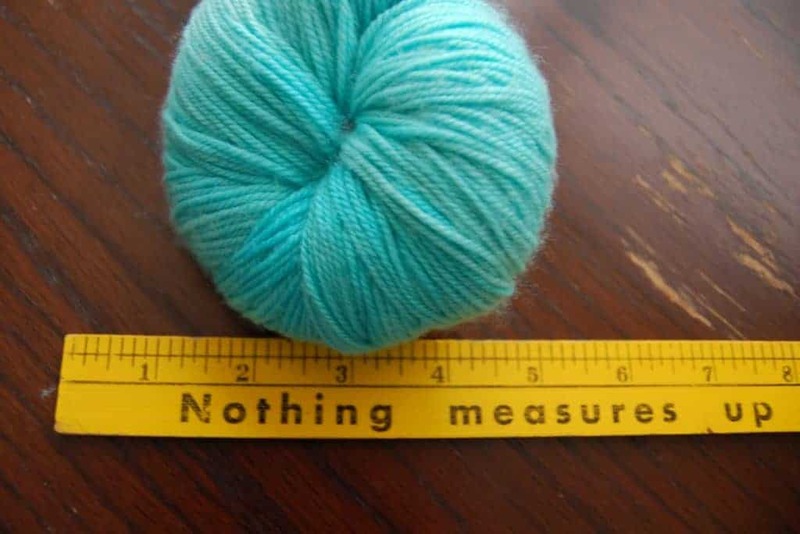 It will be perfect for charted patterns, which are mainly what I print out these days, but I feel like I’ll be using a lot more paper patterns just to be able to use this. 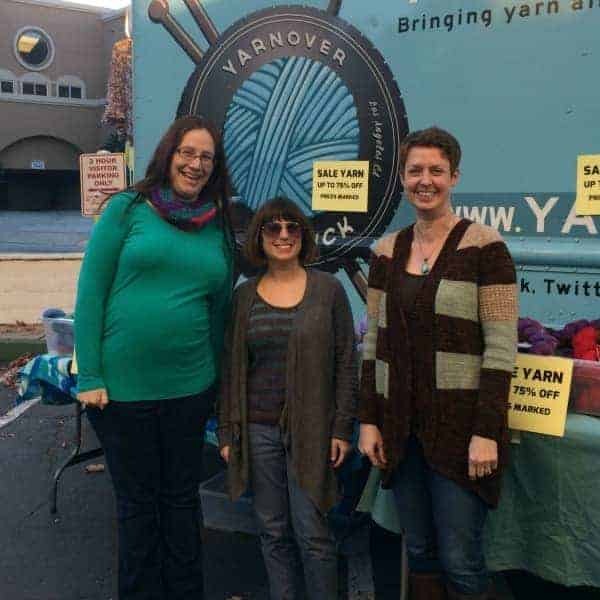 While I was certainly excited to see the Yarnover Truck and have a Slipped Stitch shopping spree, one of the best parts of this trip was getting to spend time with some of my knitting friends from SoCal — Erica, who was the recipient of the handknit gift that needed the help of a detangler, and Julia, who I only knew from Ravelry discussions, but who was every bit as sweet in person as she is on the forums. We sat outside the truck and knit for a little bit while my husband tried out a local brewery and got a haircut. 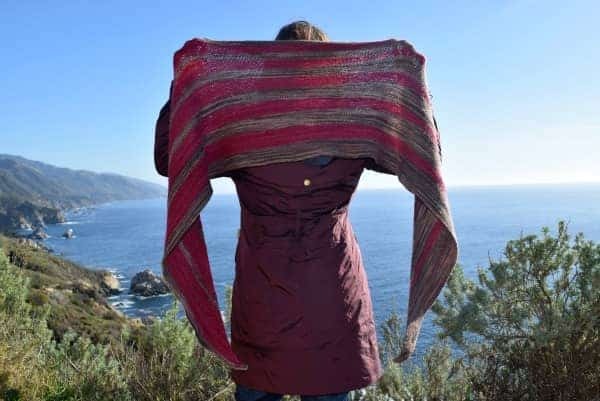 It was the perfect start to the LA part of our trip and definitely helped fulfill my desire for a yarny road trip.